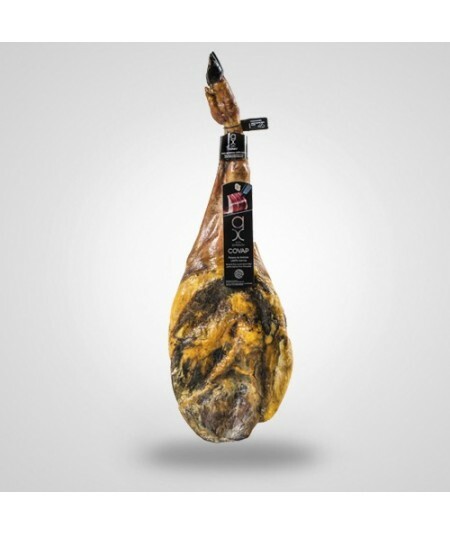 Spanish ham Alta Expresión, produced by COVAP, from pure 100% Iberian pigs fed with acorns in freedom in Pedroches valley fields. 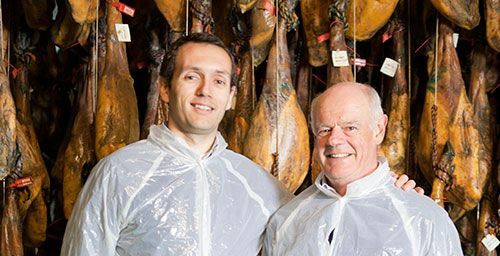 An Spanish ham selected for its balance and the purity of the breed, with a deep respect for traditional methods. 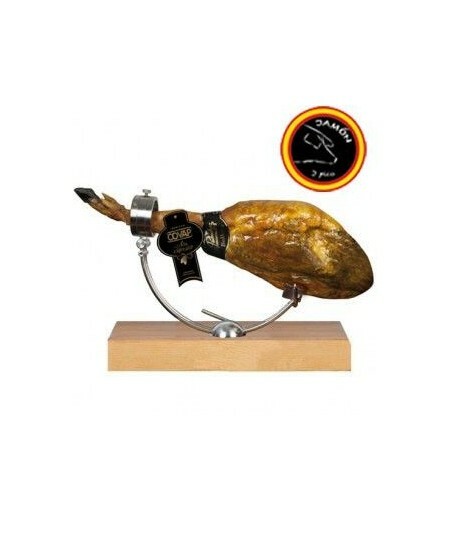 Each pork ham is unique and of the very highest quality, backed by the official "Los Pedroches" Designation of Origin. 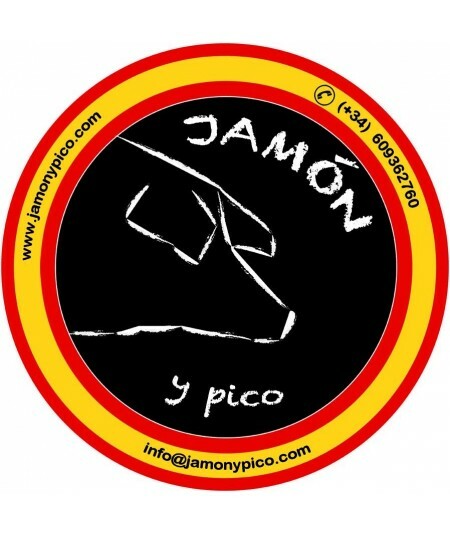 This pork ham received the prize for "Best Los Pedroches pork ham" in 2016, as well as the "Superior Taste Award 2016" and in 2018 with the "Superior Taste Award 2018". 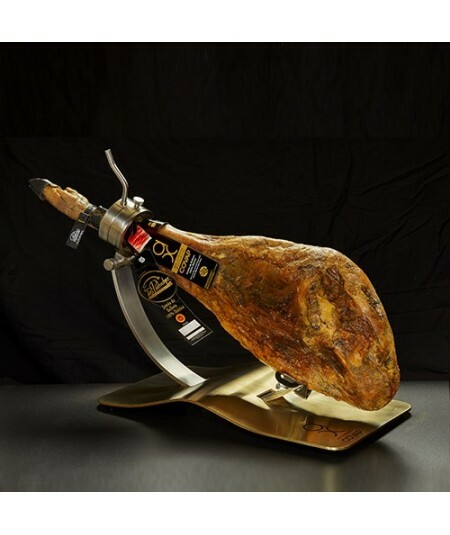 Now is the time to buy an Ibérico pork ham that will impress even the most demanding palates! These hams have infiltration of unsaturated fat thanks to their acorn diet, producing a low salt delicious ham with a very unique taste. 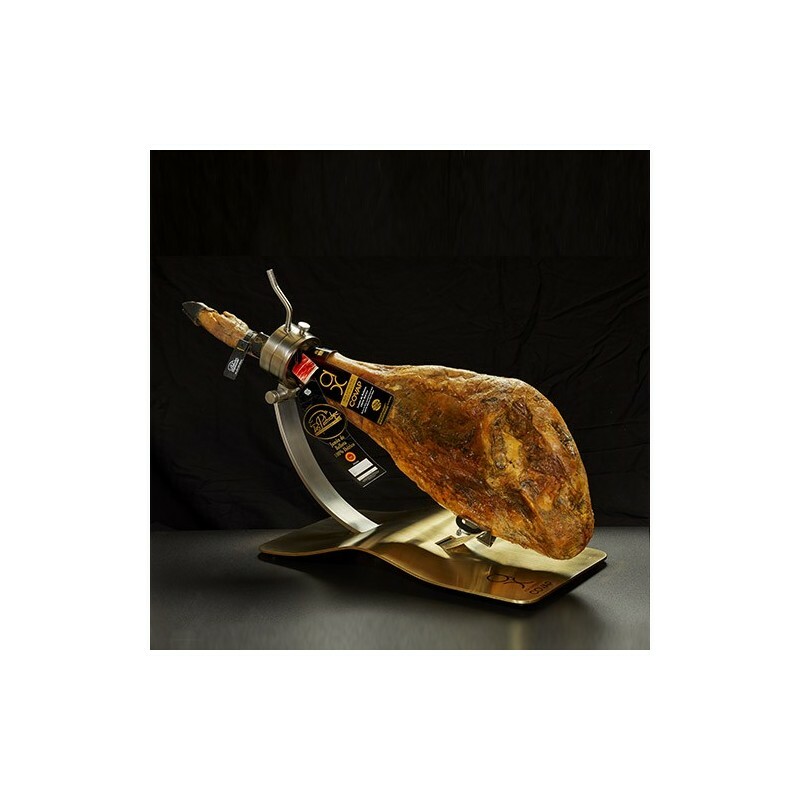 Spanish hams identified as “Alta Expresión” (top quality) are from Iberian pigs previously selected because of their DNS and morphological characteristics. 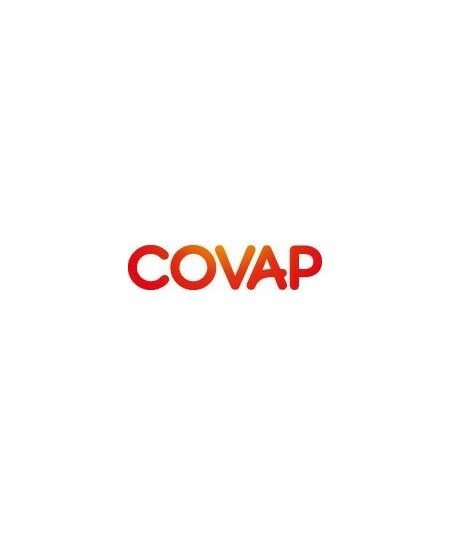 These Iberian hams from COVAP, are top of the class hams, as a result of the combination of traditional knowledge and culture mixed with the most technological advances, a combination that produces these exclusive Iberian hams. 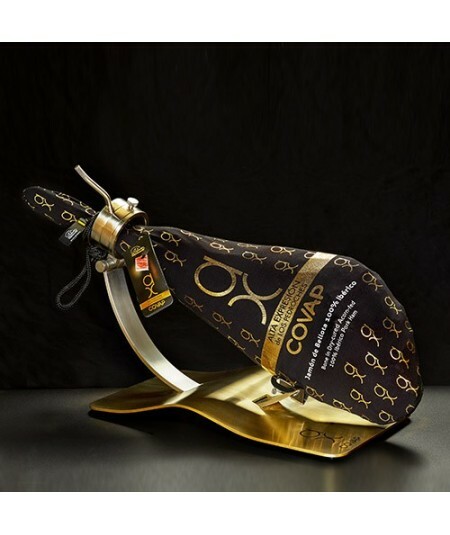 “Wisdom, knowledge, patience, and expertise are some of the words that better reflect COVAP´s culture that allows producing this incredible Spanish ham Puro de Bellota D.O. Alta Expresión. 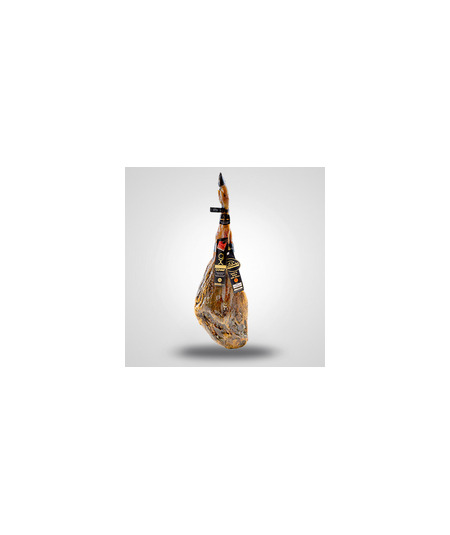 Hams like these confirm without any doubt that Iberian hams are the most universal Spanish product, and a key element in Mediterranean gastronomy.